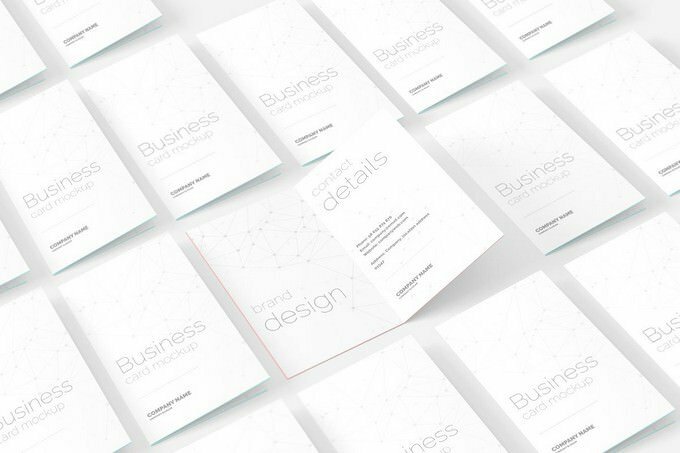 Are you in the hunt of professional folded card templates? you are at the right spot, here we have drill down a hand-picked gathering of Best Folded Card Templates in PSD. Get the best one you like and impress your client with professionalism. Cards are one of the most powerful and effective medium to introduce yourself or business, express your emotions and send invitation about your next event. The cards are way to make a quick first impression on the recipients. If you are working on one of them (Business card, Greeting card and invitation card), it is important to make your design look appealing to viewer. Because, A first impression can either make or break your chance of getting design approved. 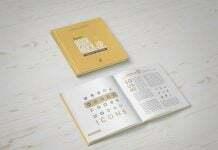 So choosing one of the best presentation mockup templates can give you a fantastic head start. That’s why, we have created a collection of best professional folded card mockup templates for creating an impressive presentation! 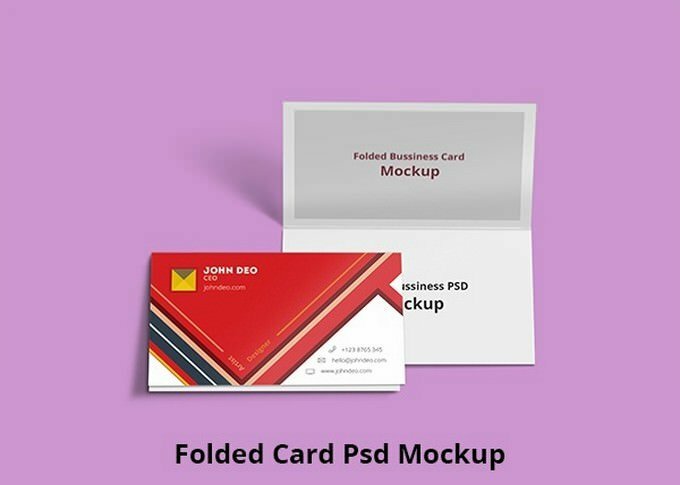 Here we have compiled 20+ best folded card mockup template to present your design in professional manner. 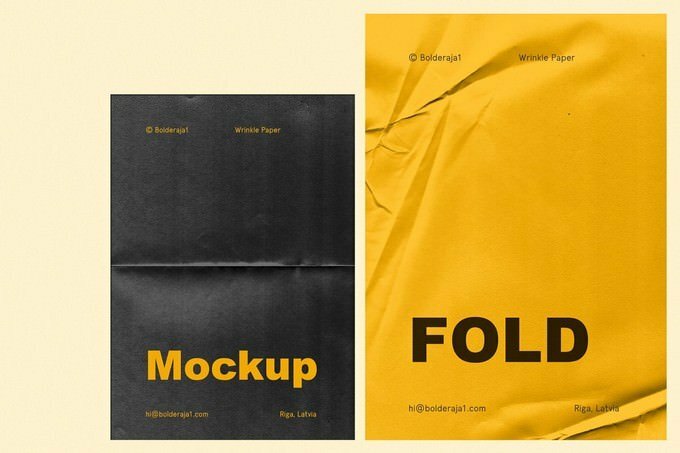 These beautifully designed folded card mockups will helpful to make your design stand out from the crowd, helpful to showcase in your portfolio, and improve your chances of design get approved. Some of the templates are free, and others cost a few dollars. All of them are absolutely eye-catching! Hope they will inspire you in creating yours. Business cards are one of the most powerful and must have marketing tool for any business owner. Whether you belongs to a big, corporate or any small scale business, No matter how old are your business, Business card will surely give you one of kind identity. 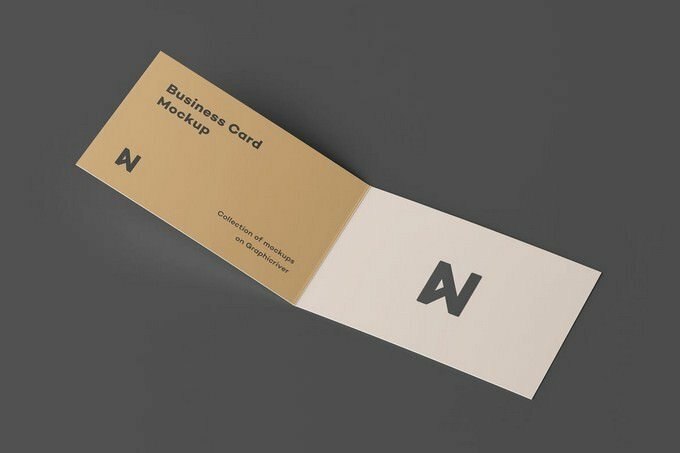 Here’ is a freebie of folded business card mockup suitable for your next business card design presentation. 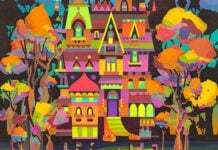 It features six different views with realistic look. You can easily replace your logo and change text through the use of smart objects. 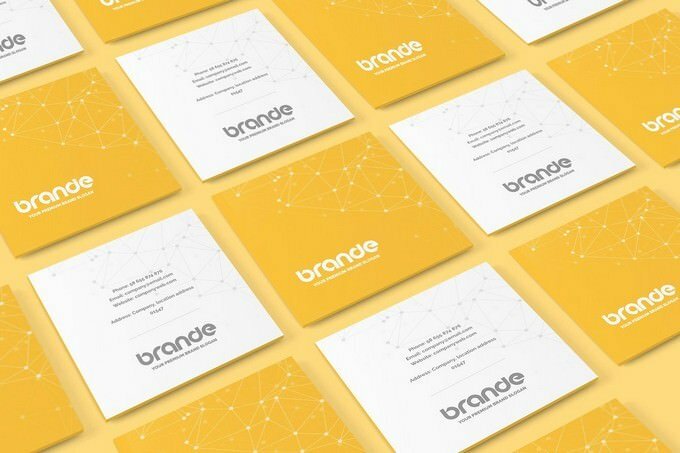 With this mockup, your business card presentation will look alluring in just a few clicks. If you are in the search of stylish business card presentation, then this folded business card mockup template is good option to get work done. With the use of this template you can easily create a realistic business card presentation within a few minutes. These PSD files uses the Smart-Object feature, so you can replace the mockup content easily and quickly. Without business card, business owners fail to proper representation to their firm and it is also apply to the business card designers. Without right mockup for presentation your design get disapprove. Thanks to this beautiful vertical folded business card mockup helpful to enhance the beauty of your creatively designed business card. It features six different view for business card. Basically, it lets you display your design through the smart object layer. The template is also easy to use and edit with the help of Photoshop. 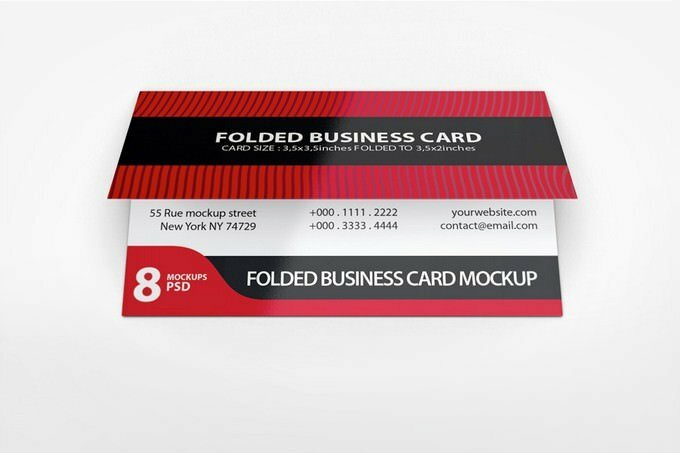 If you want to make your bi-fold business card design look stunning, you should try this realistic and high quality folded business card mockup. This template feature eleven different kind of Photorealistic mockup and perfect solution for business card presentation, designer portfolio and more task done with this mockup, use this template and you will get wonderful preview for your work. A good designed business card require perfect presentation to make them look special and delightful. To keep them crisp and alluring, pick the mockups that will suit its style and design. 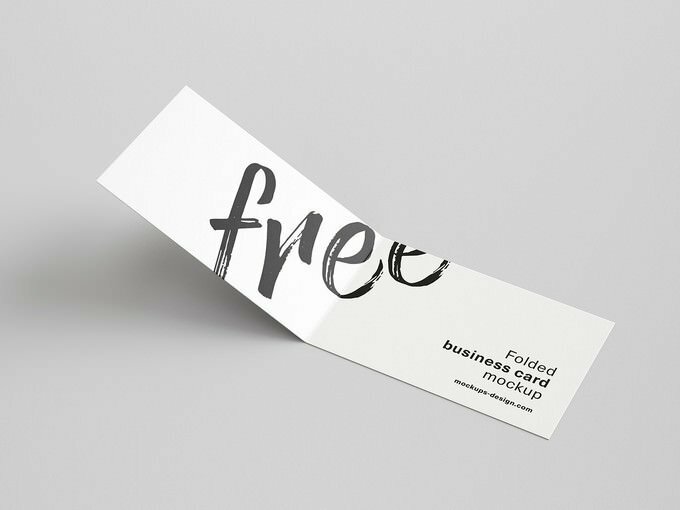 Here’s a free folded card mockup in PSD that you can use for the presentation of your imaginatively designed business card. It comes with a five different views and you can easily replace your card design with your with the help of Photoshop. Business careds are the best marketing tool you can use to introduce yoursel as well as share contact details among targeted clients. If you are done or working on some spacial business card design, Then use of mockup template will definitely enhance overall look of your card for impressive presentation. 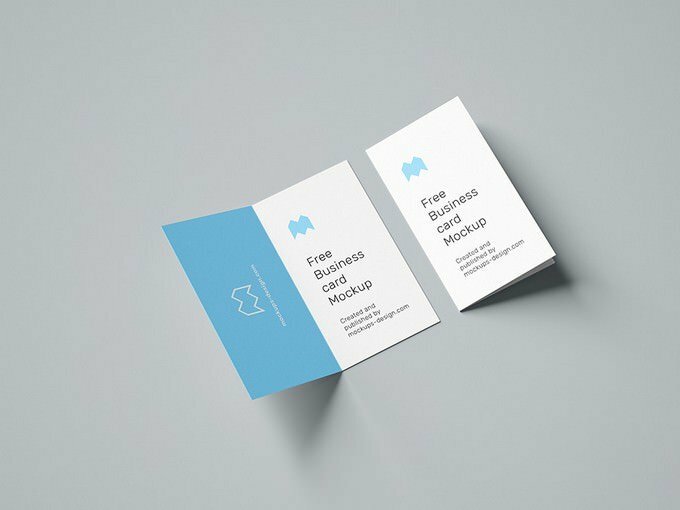 Here’s a free folded business card PSD mockup template that will help you make a beautiful introduction of your work. 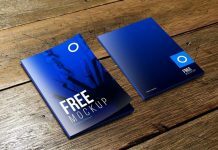 This mockup template came with standard card dimension with 6000×4800 PX resolution. You can insert your card design in this template via smart object layer. Also, you can replace the content and background of the mockup as you desire. Regardless of what type of business card, you working on, be sure it will presented in stunning and elegant way. Mockups are the perfect way to get job done. It will help you and client see how beautiful your designed business card will look in real environment. This beautiful, realistic and attractive mockup template features 17 PSD template with a transparent shadow and isolated background. As it comes with smart object layer inserting your card design has never been this easy. It has also changeable background color and texture and came in 2500 x 1800px resolution. 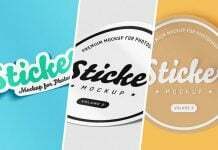 Your design won’t presented as lovely as it should be without right mockup template. 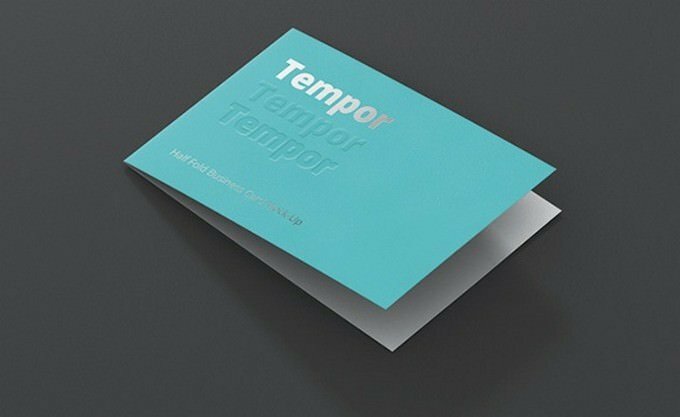 These template will showcase your business card design with style in front of your client and enhances the overall look of card that’s why these mockups must be utilized. 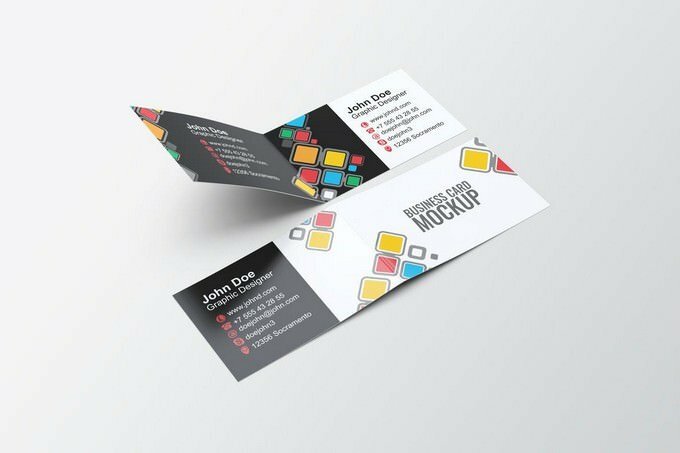 This unique and square style business card mockup is an excellent choice for those who working on square based business card design. This pack includes eight PSD files with transparent shadow and isolated backgrounds.The template is available in 3000×2000 px resolution with 72 DPI and RGB color mode. Apparently, it lets you change the color of the background or replace total background texture to meet your preferences. Just use the smart object layer and you’ll have your desired realistic result. 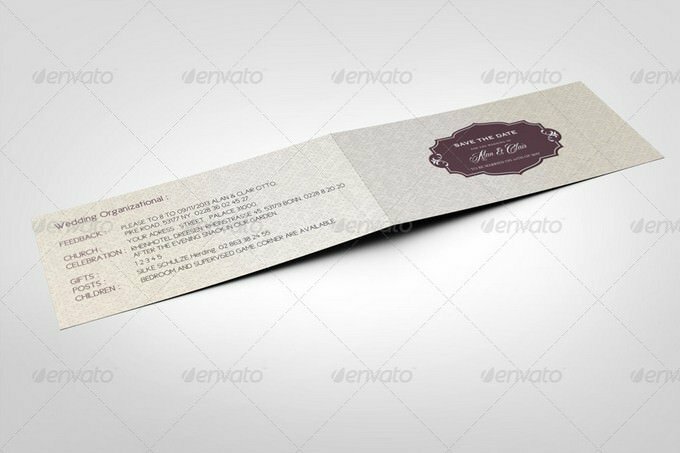 Here is another folded business card Mock-Up PSD templates helpful to get photorealistic presentation result. This mockup template is available in eight 8 PSD files and fully editable via smart object’s and you can edit the layers of the graphic canvas or remove them completely and place your own work inside, without worrying about perspective, light and shadow effects. 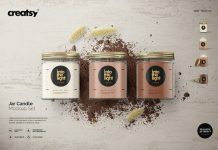 Professionally designed mockup template can transform a simple design work into a more creative, interesting and elegant piece. So, why not add beauty to your business card presentation. Grab this creative Bi-Fold business card Mock-up that makes your design standout. The template came with ten different views and contains everything you need to create a realistic look of your project. As you use the smart object, inserting your business card design won’t give you a headache as it will be so easy doing the insertion with the help of Photoshop (CS5 or higher). In order to enhance the beauty of your design, using a mockup will make the difference. Whether you want to use for weeding, Birthday or more related, your invitation card will truly stand out! So, never miss adding frames to your photo or treasured arts. 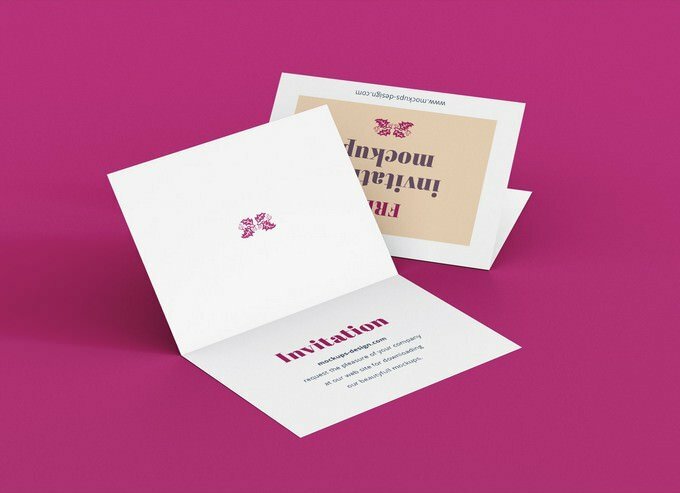 This beautiful square invitation folded card mockup available with six PSD views and easily edited with Adobe Photoshop CS4 or higher. With the use of the smart object layer, inserting your design is not hard to do. 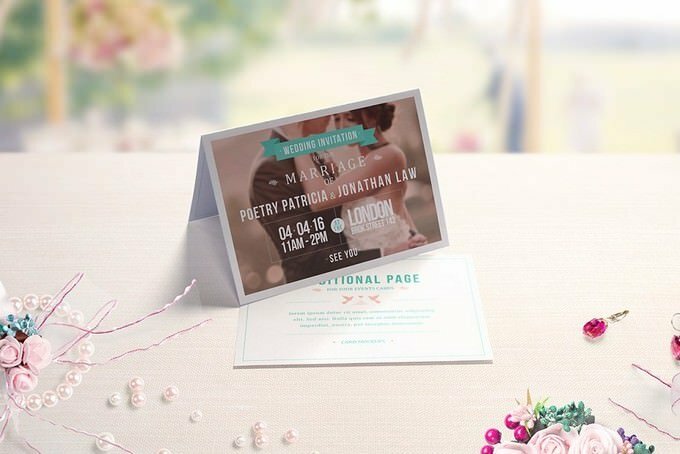 Searching for the perfect invitation or greeting card mockup to preview your designs in real world? 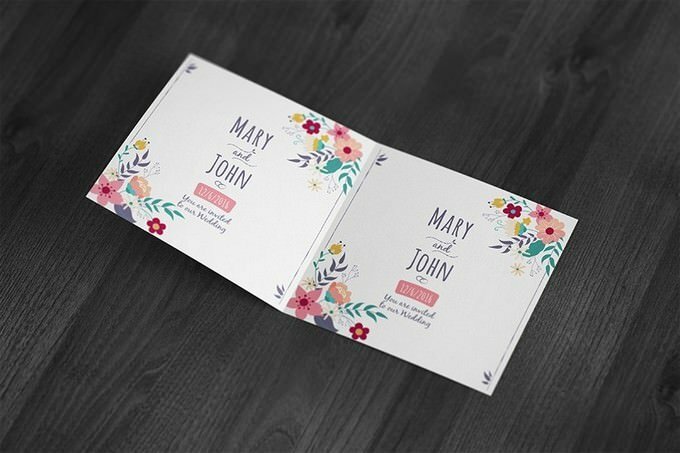 Then, this invitation and greeting card mockup is great option, you would be able to make a good impression on the viewers. 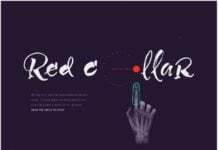 It features seven different kind of design in High resolution (4500×3000px). You can insert your card design on the template using the smart object layer. Presenting an invitation card design in a high caliber will definitely make your hard-work look outstanding. By placing those works into the beautifully designed mockup will gain more recognition. This premium invitation folded mockups in PSD is a wonderful that invitation card designers should have. The template is came with seven different PSD mockup with 8 Backgrounds. this mockup contains completely customizable layered PSD-file in 4500×3000 px high resolution and easily change via smart object. 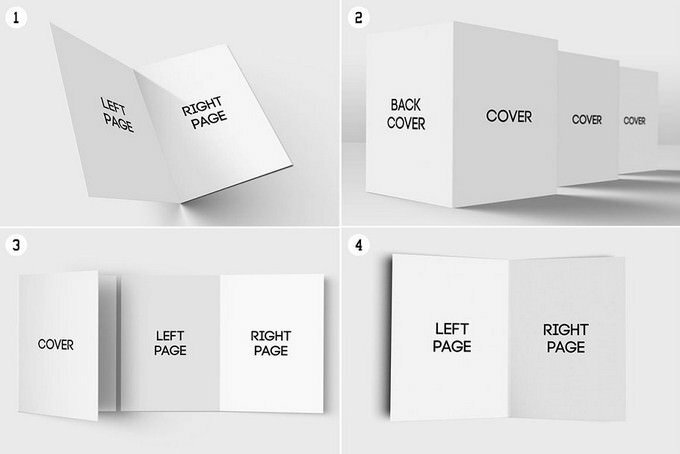 This is another set of folded card mockups came with four different scenes created to showcase title design or the inside content of the greeting card mockup. Easily change the artwork by replacing the current design by using smart object. After placing the design change background color which compliments the greeting card color scheme. The template is available in 2800 x 1800 px resolution. 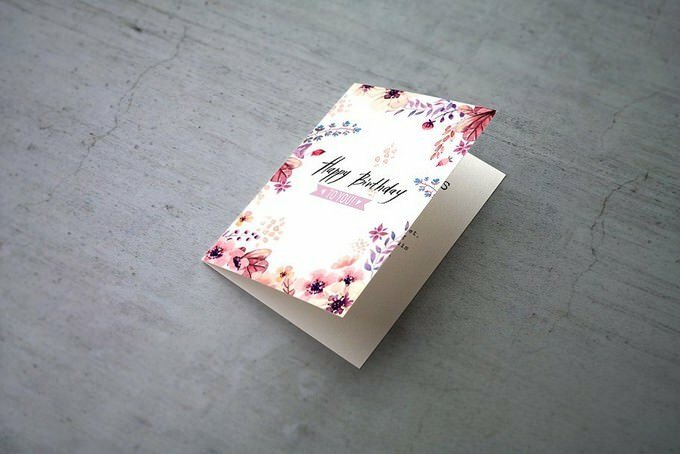 This is set of beautiful, attractive and creative folded greeting card mockups template features a stylish Bi-Fold design that allows you to create amazing presentation in 7 Views. It includes a total of seven PSD files with easily customizable template, 4 Table Textures, 2 backgrounds, 2 variations of environment in each presentation and much more. If you want to present your invitation or greeting card design in a real envorinment? This template is able to answer it, you will get the seven position in one template with a clean 3D display, allowing you to do more detail to your design. work in photoshop using smart object, only took a few seconds for your design look realistic. This is a creative invitation card mockup template that features a eight different design. It’s You just need to double-click the Smart-Object, paste your artwork, save, and you’re done.It also came with well organized and named layers with 3000×2000px resolution. You are able to create a realistic DL folded invitation Card Mock-Up in few minutes. This is beautiful and adorable Fold is a new Paper wrinkle texture mockup, featuring natural wrinkles ideal for creating photo realistic stationery mockups with a casual, authentic vibe. Using smart layers, you can easily swap out your own designs and imagery with just a few clicks, also you can easily increase or decrease the size, change colour, background, etc. The versatile and organized PSD file contains 6 wrinkle types and 3 paper options that can easily be arranged, combined, and customized in an infinite number of ways. 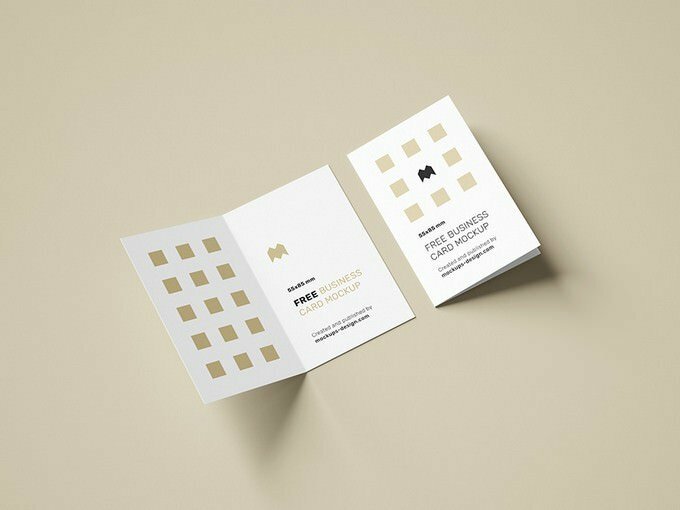 This minimal, modern and professional folded card mockups template will help you create more attractive invitation or greeting card presentation. This mockup is all you need to get relistic results. This Freebie includes 1 PSD available in 4000×2667 PX with changeable backgrounds option. 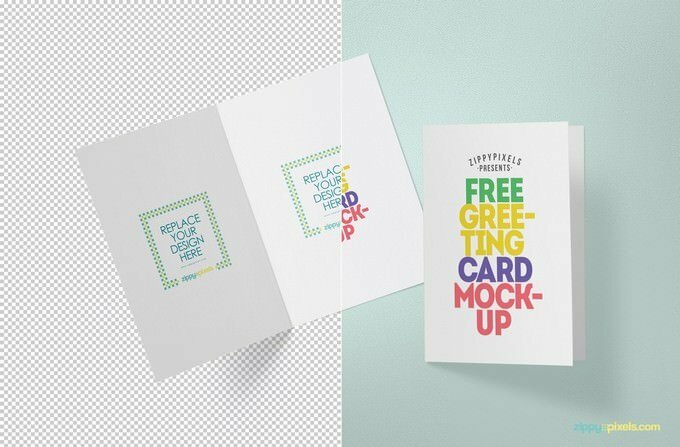 If you are looking the nicest way to showcase or present your greeting card, then this folded greeting card mockup template will help you to make your greeting card look so appealing and make an effective greeting card presentation. 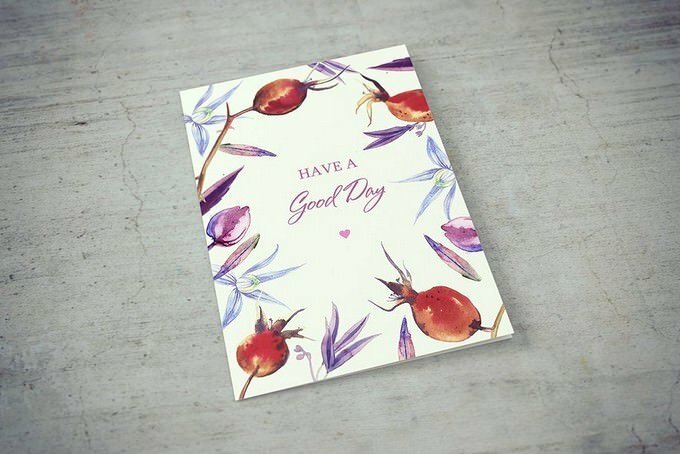 So, don’t miss this stunning free greeting card mockup that you can use for your next greeting card presentation. You just have to use the smart object layer and your design work will. 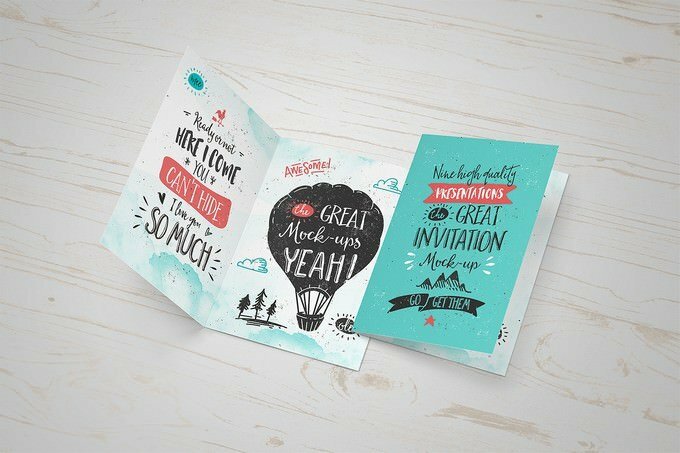 This awesome free greeting card mockup lets you convey your invitation, greeting and other similar designs beautifully.